I have been thinking for sometime that I need to really invest in some sports glasses. The sunglasses that I wear when running are quite irritating to my head because they bounce all around and don't feel comfortable for a long period of time. I have seen several posts on other blogs about glasses that runners wear, but I am just a little too nervous to spend the money if I am not sure if I will like them. Do you wear sports glasses when running? If so, will you let me know what kind? In the past few years I have ordered my eye glasses online without going into a shop to have them adjusted or to try them on. Living overseas made this decision simple... I just had to do it. I have actually purchased from a couple of different websites and I have been pleased. So here I am again, not only in search of sports glasses, but new glasses frames as well. So, I figured I may as well buy them both at the same time. 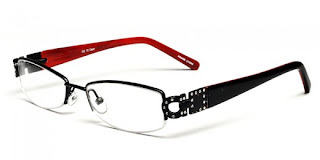 Currently, I am looking at GlassesUSA.com at a couple of different pairs of eyeglasses and a pair of sports glasses. Have you ever ordered from this company? It seems to be a great company with their guarantees and refer a friend programs. These are the glasses I am looking at.. what do you think? GlassesUSA.com also has this really cool virtual mirror where you can put different glasses on the person you create as yourself and see how they look. This is so fun to do ... go ahead and play around. You know you want to! 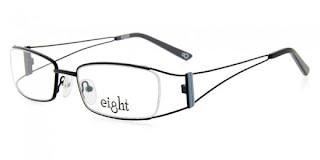 The really cool thing is that I have been looking for new glasses and sports glasses when GlassesUSA.com contacted us. We are so excited to share their newest glasses with you along with the awesome Virtual Mirror- but the best part is.. There are discounts in it for you. If you are interested in getting some new glasses, I highly recommend you take a look around their website and use the awesome codes they gave us to share with you for discounts. So which pair of glasses do you like best? If you wear sunglasses to run in, what kind are they? Of course... don't forget about our awesome Giveaway that ends soon!